Many people say that it is possible to have too much of a good thing. Compression is a perfect example of this. One of the most used and most loved dynamic effects and fundamental tools we have at our disposal whilst mixing, recording and mastering music. When starting out producing, usually with electronic music, people will want their music to “pump” or “sound thick” and many will try beef up their elements by using a compressor (probably after a quick Google) without actually knowing how to achieve it or what device to use. This article is going to hopefully try and teach you a thing or two using the simplest terms so you can understand what is they are used for. Many people think that a compressor is used for making things louder, and while this is partially true, there is much more to understand. Compression, when used correctly can add punch, warmth and strength to your mix. 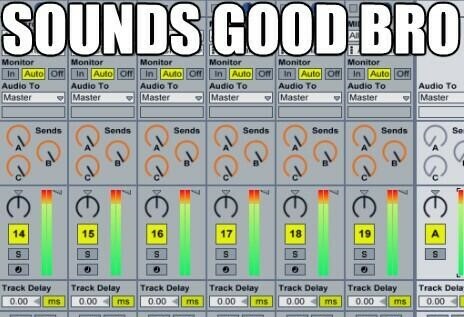 But when used incorrectly can cause over-compression which will make the track sound lifeless and muddy. 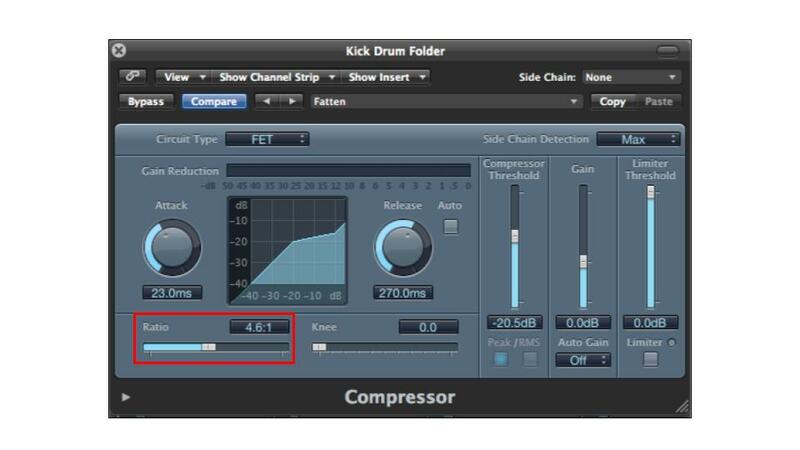 A compressor is a dynamic processing effect, so it works on the dynamics of a song or element, how loud or quiet it is. It is used to level out your track, to bring up the quiet parts and bring down the loud parts while still keeping with the dynamics of the track. The different parameters on the compressor change how it reacts when you feed an audio signal into it. Usually most compressors will have input & output gain controls, ratio, threshold, attack, release, and knee. Threshold or Input (depending on the compressor) is measured in dB and is level that the compressor will start working at, for instance if you have a signal coming into the compressor at 0 dB and you have your threshold level set to -5 dB, the signal will reduce to whatever the threshold is set at. (In the example here we can see that the Threshold is set to -20.5 dB). The attack section on a compressor works the same as it does on other things such as a synthesizer envelope. The faster the attack the quicker the compressor reacts, and the slower the attack the slower the compressor takes to react to the signal. A good example of this would be for drum hits, which are fast and percussive you might employ a slow attack so you can still get the percussive transients of the hit. Something like a bass might suit a faster attack. Again, the releases parameter acts the same as it would on a synth, and relates to how long the compressor will keep working on a signal. For instance when using sidechain compression (will discuss more later) you would want a quick release to achieve that famous pumping sound, because if you set the release time to be long you won’t get that pump effect. The knee is a term used for the point where the signal begins to get compressed. A soft knee means the signal will start being compressed before the threshold is reached which can provide a smoother transition from un-compressed to compressed signal. A hard-knee means there is no slope, no gradual compression, it’s off, then it’s on. This is the overall output volume after compression. If you feel the compressed signal could use more gain, apply it here. Logic built-in compressor has a limiting function which you can enable and disable which can be handy if you wanted to limit the audio signal while compressing it. We recommend leaving this disengaged as limiting is not the same as compression so we don’t want to confuse the two. Circuit type refers to many of the old hardware versions of compressors and what circuitry they had inside. Today, with the development of plugins we can recall any of these at the click of a mouse. VCA – Voltage Controlled Amplitude are known for the fast action and are very reliable when used subtly on bus or even master tracks. FET – Field Effect Transistor to use it’s full name is based on a boutique 1960’s compressor and uses the same circuits as a VCA but are known to have a more coloured are warmer overall sound. OPTO – Optical compressor circuits use light intensity to determine gain reduction & response, compared to VCA & FET which both use voltage. Because of this, Opto compressors are slower to respond to signals. Most of us will be very familiar with the term side chain compression. If you’re not, I’ll explain using an extreme method. In popular electronic music sidechain compression is on almost every track, it can help separate elements apart in the mix so you can hear everything more evenly. An example of this would be if you have a kick drum that’s playing a four to the floor beat, and you can have constant bass note playing through those kick drums, both elements will suffer in the mix, because they occupy the roughly the same frequency spectrum. If we put the compressor on the bass track, then we can set the sidechain to take the signal from the kick drum to compress the bass against it. The result is that the bass dips in volume anytime the kick drum hits, which known as ducking (the bass ducks under the kick to let it through). Below you can see the Logic compressor and you can see in the top-right hand section we have our sidechain input where you can select the input source to activate the compressor. So that covers the basics, we hope you have enjoyed this short explanation of what compression is and what it can do for you and your mixes! This topic has been covered by the masses and there is some really invaluable stuff out there on the web. Thanks for reading and we’ll see you back again here soon!